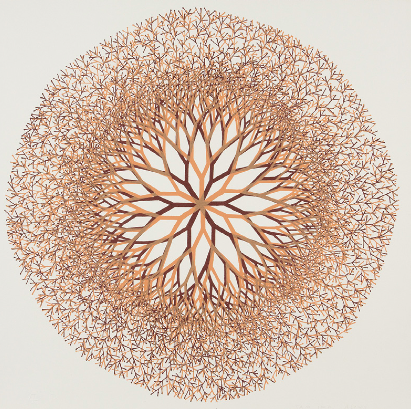 PASADENA — The Norton Simon Museum presents “Home and Away: The Printed Works of Ruth Asawa,” an exhibition of 23 lithographs created by the artist (American, 1926-2013) during her two-month residency at the Tamarind Lithography Workshop in 1965. Of the works Asawa produced at Tamarind, almost all are dedicated to the subject of her family and to floral studies. Indeed, works chosen for this exhibition include intimate portraits of Asawa’s children, mother and father, along with a suite of floral prints. Though Asawa is best known for her ethereal wire sculptures and her public fountains, her formal training at the famed Black Mountain College in North Carolina was in drawing and design under the tutelage of Josef Albers. 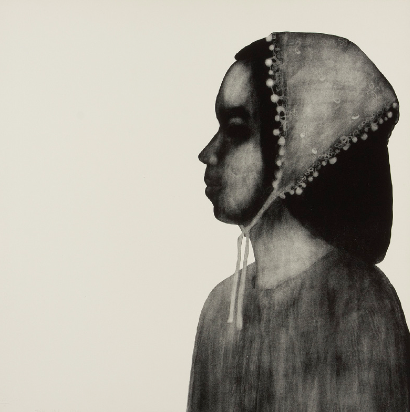 As Asawa’s works attest, she was an artist who excelled in many mediums, including printmaking. By 1965, Asawa’s sculptures had been featured in group and solo exhibitions throughout the U.S. and abroad at such venues as the Whitney Museum of American Art in New York, the Art Institute of Chicago, the de Young Museum in San Francisco, and the São Paulo Biennial in Brazil. Earlier that year, renowned curator Walter Hopps organized an exhibition of Asawa’s sculptures and drawings at the Pasadena Art Museum (now the Norton Simon Museum), which drew the attention of both collectors and those at the Tamarind Lithography Workshop. Asawa was awarded a fellowship at Tamarind for September and October of that year. The workshop, founded in 1960 by artist June Wayne, educated printers, artists, curators and collectors alike in the graphic arts. Fellowships typically provided two artists with the assistance of seven printers; however, during Asawa’s residency, the second fellow did not arrive, leaving at her disposal all seven. 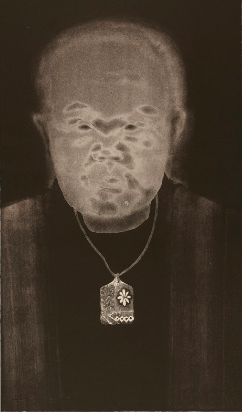 This gave her the opportunity to experiment with a variety of lithographic techniques, including reversals, as seen in a portrait of her father, Umakichi. Here, the black of the image is reversed to white and the white is reversed to black. The effect reduces the sitter to an apparition, but one whose ghostly presence is nonetheless incredibly potent. 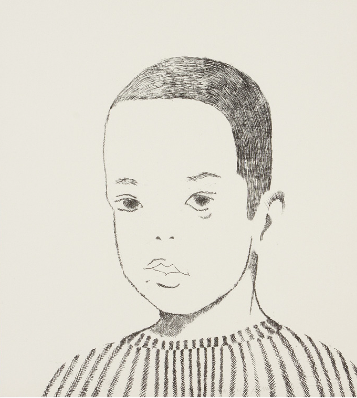 The majority of Asawa’s prints were produced directly from her finished drawings, such as her portrait of her son Xavier and a floral study entitled “Flowers II.” Both display an economy of line that is synonymous with her work. While Asawa did not directly attribute her aesthetic to her Japanese heritage, her practice of Japanese calligraphy as a child and her study of Zen Buddhism while at Black Mountain suggest that these experiences informed her work. “Home and Away” is organized by Assistant Curator Melody Rod-ari. It is on view in the Norton Simon Museum’s small rotating exhibitions gallery on the main level through Jan. 19, 2015. The Norton Simon Museum is known around the world as one of the most remarkable private art collections ever assembled. Over a 30-year period, industrialist Norton Simon (1907–1993) amassed an astonishing collection of European art from the Renaissance to the 20th century, and a stellar collection of Indian and Southeast Asian art spanning 2,000 years. Modern and Contemporary Art from Europe and the U.S., acquired by the former Pasadena Art Museum, also occupies an important place in the museum’s collections. The Museum houses more than 12,000 objects, roughly 1,000 of which are on view in the galleries and gardens. Two exhibition spaces feature rotating installations of artworks not on permanent display. The Norton Simon Museum is located at 411 W. Colorado Blvd. at Orange Grove Boulevard in Pasadena, at the intersection of the Foothill (210) and Ventura (134) freeways. For general information, call (626) 449-6840 or visit www.nortonsimon.org. Museum hours: Monday, Wednesday and Thursday, 12 to 5 p.m.; Friday and Saturday, 11 a.m. to 8 p.m.; Sunday, 11 a.m. to 5 p.m.; closed Tuesday. Admission: Adults, $12; seniors (62+), $9; children 18 and younger, students with ID, active military, museum colleagues and museum members: free. Admission is free for everyone on the first Friday of every month from 6 to 9 p.m. All public programs, unless stated otherwise, are free with admission. The museum is wheelchair-accessible. Parking is free, and no reservations are necessary. The City of Pasadena provides a shuttle bus to transport passengers through the Pasadena Playhouse district, the Lake Avenue shopping district and Old Pasadena. A shuttle stop is located in front of the museum. Visit www.cityofpasadena.net/artsbus for schedules. The MTA bus line #180/181 stops in front of the museum. The Memorial Park Station on the MTA Gold Line, the closest Metro Rail station to the museum, is located at 125 E. Holly St. at Arroyo Parkway. Visit www.metro.net for schedules.